If you need a boost and a burst of energy, ride on my Mastermind Group’s energy! Among the cheers last week during Mastermind Day, we heard “I totally smashed my Q1 goals”, “Repeat business is going through the roof” and “I’ve got my first employee” they said. I’m so super-proud of their achievements. It’s the best feeling seeing them make so much progress. They’ve certainly embraced making changes and I’m looking forward to seeing my private business coaching clients this week too, and checking their Q1 results. Have you had time to check your results, yet? 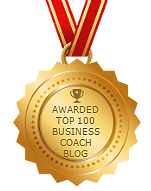 If not, take a look at my previous blog, How to Write Your Q1 Achievement List here. So with Spring finally here, we should feel a shift in our energy levels again. Energy levels in people are so different, aren’t they? It seems like some people have Duracell batteries installed for 24/7 energy, and others have a more steady and measured distribution of energy during the day. And everything in between! We pick up on other people’s energy too. It’s like a ripple effect in the office. You sure know if someone is fed up or in a bad mood, don’t you. Just as you notice if they’re happy, or being enthusiastic and positive about what’s happening. Keep in mind, your energy levels are very influential. As a leader, a business owner, next time you’re going into your client’s office for a meeting or picking up the phone to a prospect, consider your energy levels first, what effect they may have on the results you want to create. How do you want your clients to feel? Pleased to see you? Excited about your new designs? Reassured you’re the right person for them to fulfil their needs in IT Maintenance, Interior Design or, […enter your expertise here…]. Remember, you cannot, not influence! So, consider your energy levels first. How are you showing up? What ripples are you creating? Are they fitting to the desired energy levels you want to create in your meeting? How are you influencing your audience? Reach out and get in touch with me today if this resonates with you and you want to find out how you can influence your energy levels to win more business. If you’re feeling stuck on something in your business, let’s change and put it behind you, for your success. Then we can plan for a more exciting and productive Quarter 2, April to June for you. I’m off to Piccadilly to work with one of my VIP clients who has a calm, creative energy. I can’t wait to see him today and hear of his progress and set Q2 goals. Have a great day and a wonderful start to your week. Get in touch if you need me, I’m here to help you. Your Business Coach who loves to help you make it happen. Related Post: Are you dressed for Success?